The course is in three units: approximately 6 weeks on text-based programming (primarily in Processing); 6 weeks on microcontroller-based physical computing (primarily with Arduino); and 2-3 weeks on patch-based programming (with MaxMSP). We are in the first unit, which will last until mid-October. We are beginning with some formal studies, using simple principles of generativity towards what one might call decorative arts. We will soon be introducing principles of flocking, simulation, rapid prototyping; camera based interactivity, OSC, and mobile programming. 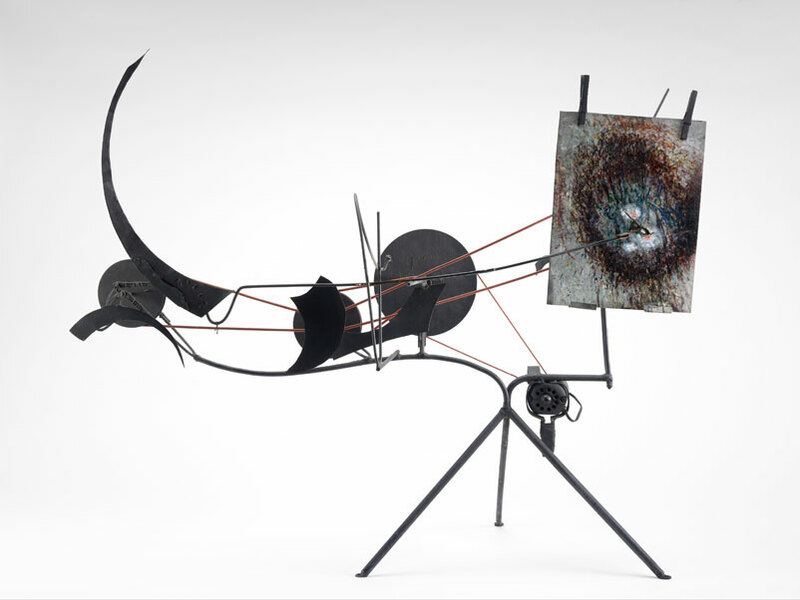 Jean Tinguely, Swiss kinetic sculptor known for the self destructing machine (1960). 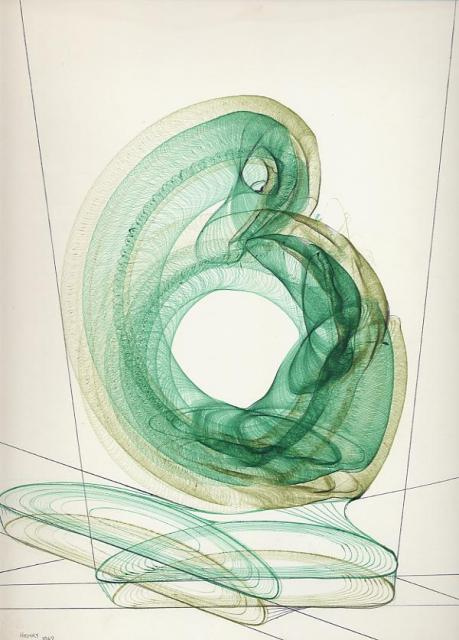 In the 1950s, he produced a body of work known as metamatics. 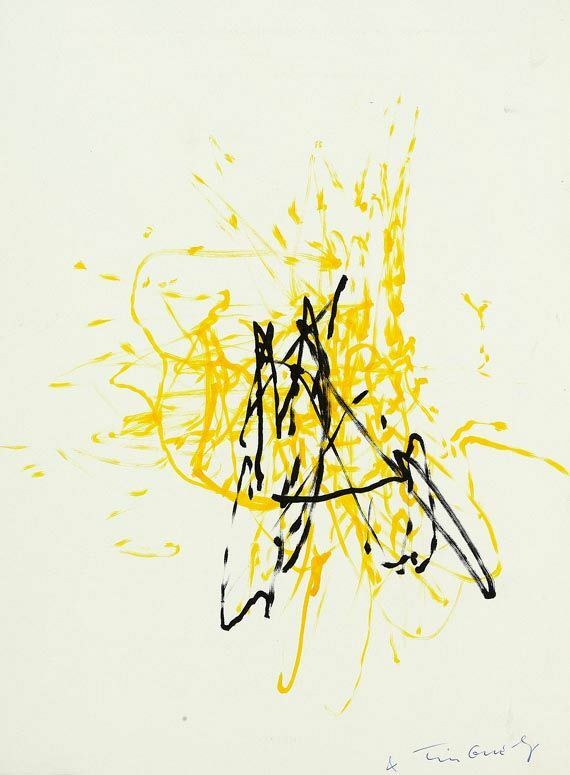 These were a parody of American “action” painting, such as by Jackson Pollock. 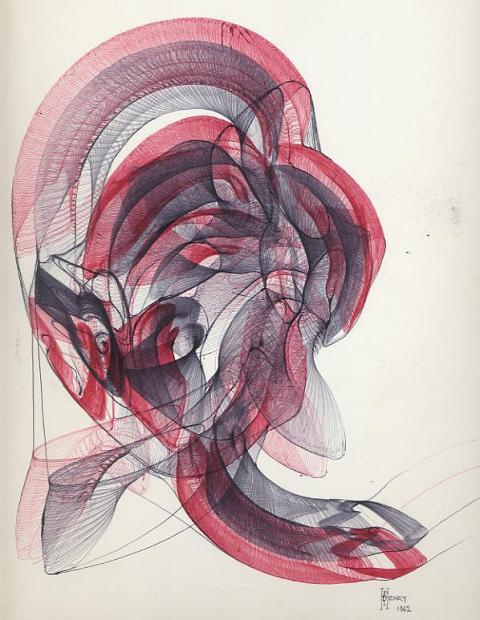 American animator, Mary Ellen Bute used a similar technique in the early 1950s, to produce abstract animated films which she called ‘Abstronic’. 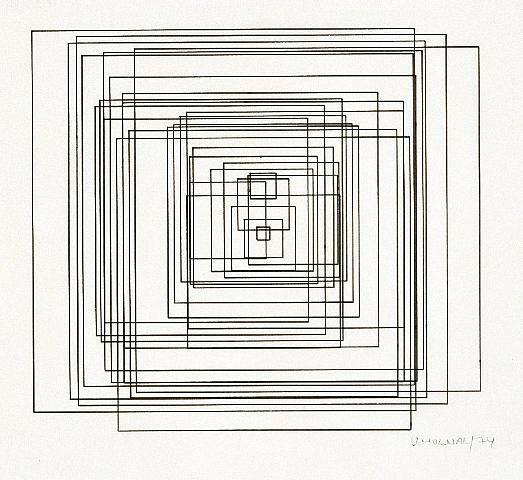 In the 1950s, British artist Desmond Paul Henry created plotter drawings using decommissioned analog/mechanical “bombsight computers” which were employed in World War II bombers to calculate the accurate trajectories of bombs and missiles. 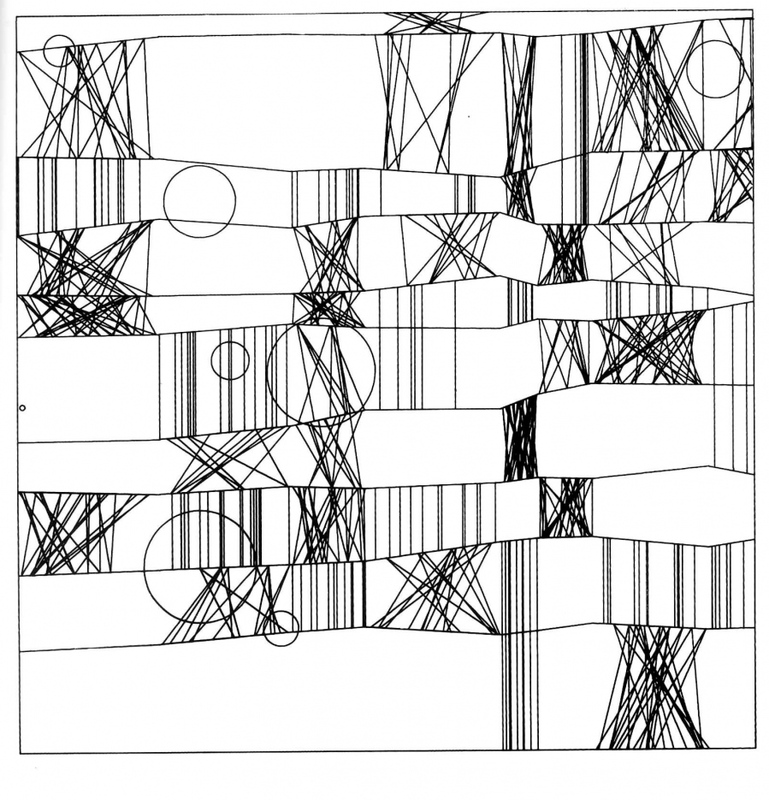 This strategy was also used by American abstract animator, John Whitney. 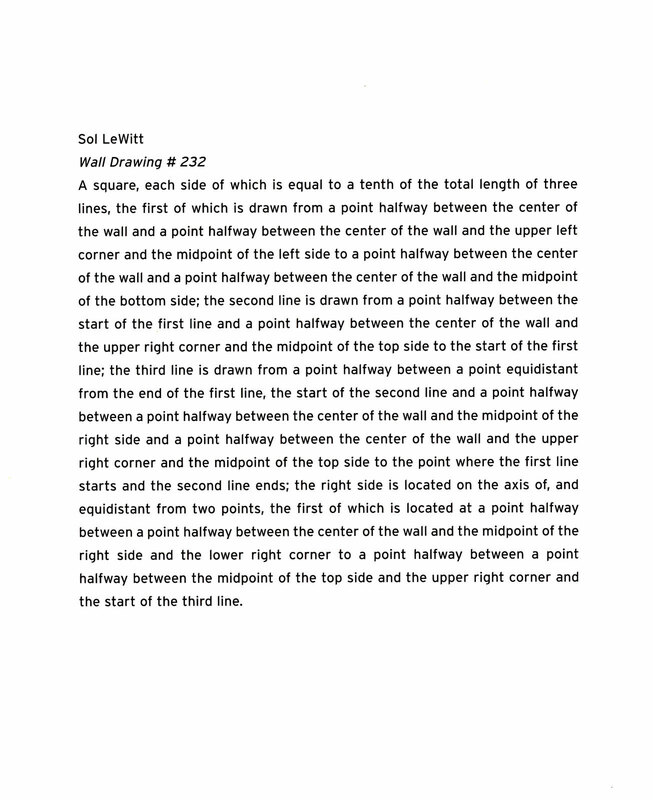 On the opposite side of the algorithmic spectrum, there is Sol LeWitt, who didn’t use computers but conceived many of his works as a series of instructions. 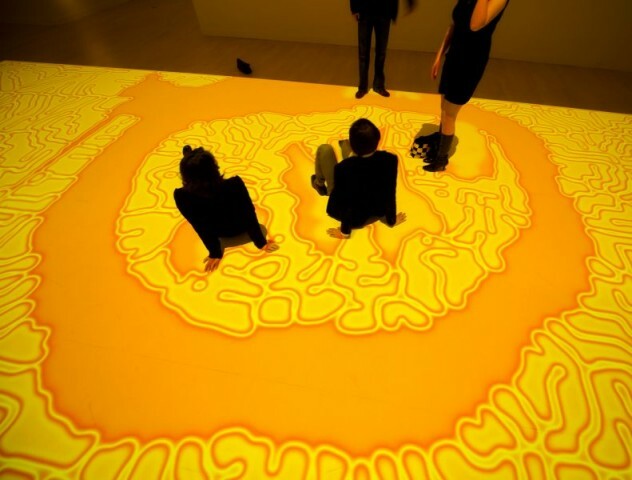 In point of fact, they were indeed intended to be created by machines: art gallery interns. 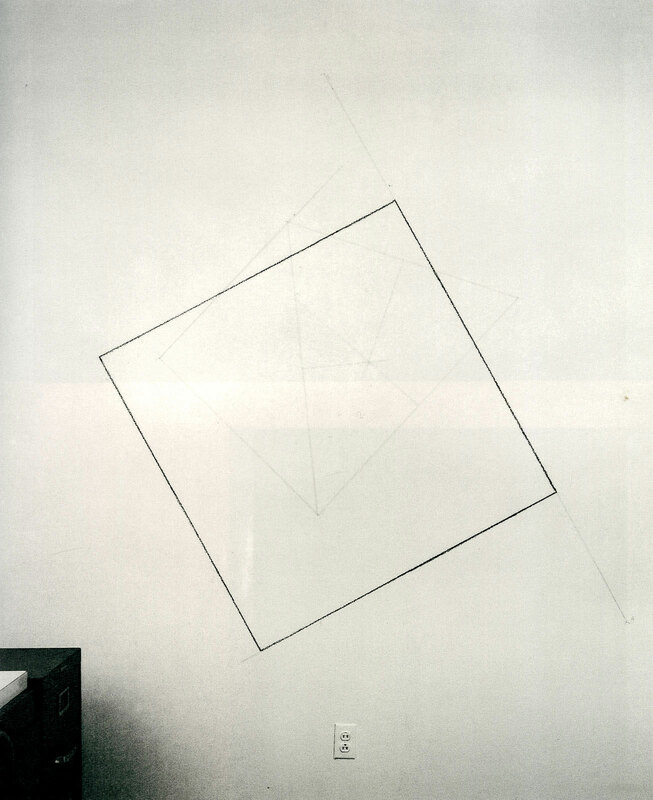 Sol Lewitt was part of the Conceptualist movement. 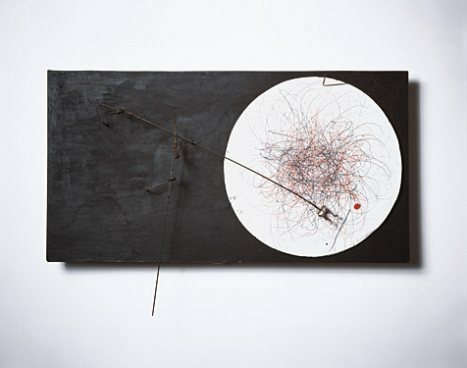 In the 1960s these artists enjoyed provoking the question as to whether an artwork could take the form of a set of instructions, i.e.  if the artwork, technically, had no material existence. 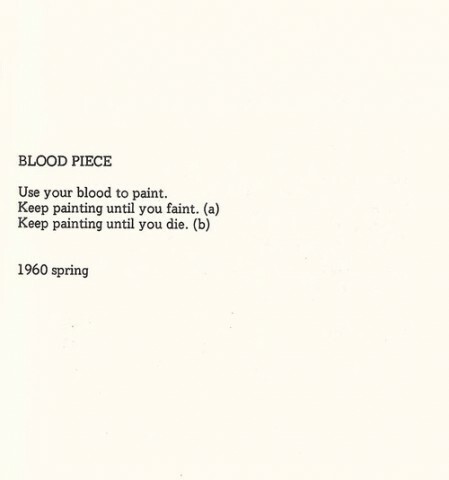 Another participant in this (and the related Fluxus movement) was Yoko Ono, who created a book of instructional “paintings” called Grapefruit. 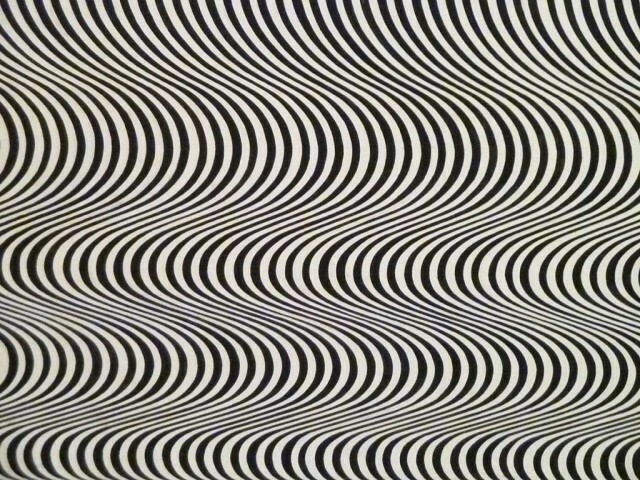 There was a major exhibition of Op-Art, “The Responsive Eye” at the MoMA in 1965. (The catalogue is really worth a look.) 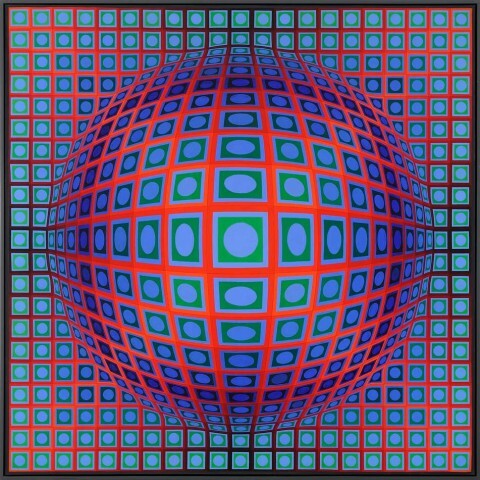 One important aspect of Op-Art was its “interactive” quality. 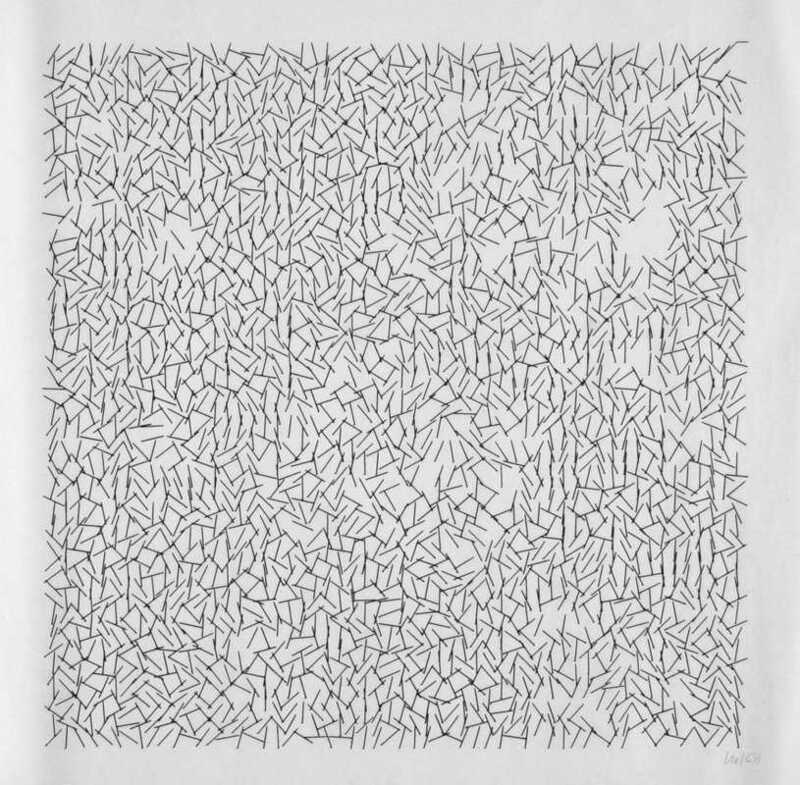 Often the viewer became very involved in perceiving the work: moving around it, stepping back and forth, and blinking a whole lot. 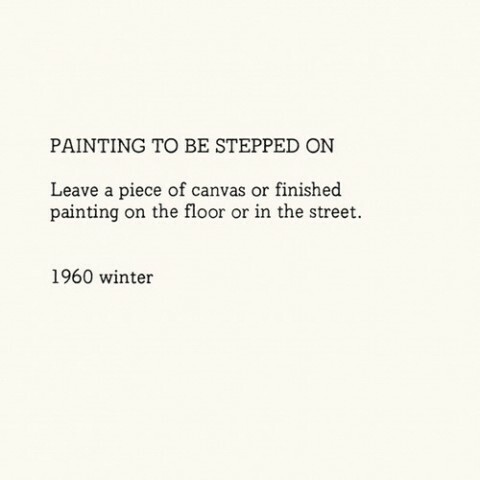 While the Conceptual artists (e.g. 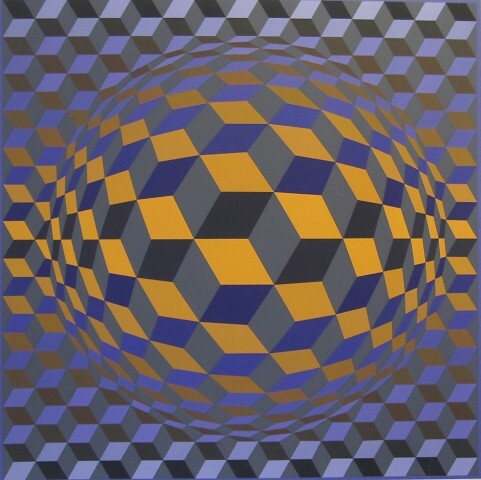 Lewitt) were thinking about rule-based art, and the Op-Artists were thinking about mathematically-motivated, mind-bending forms, the early computer artists were thinking about both of these things, and how they could use new technologies to create them. 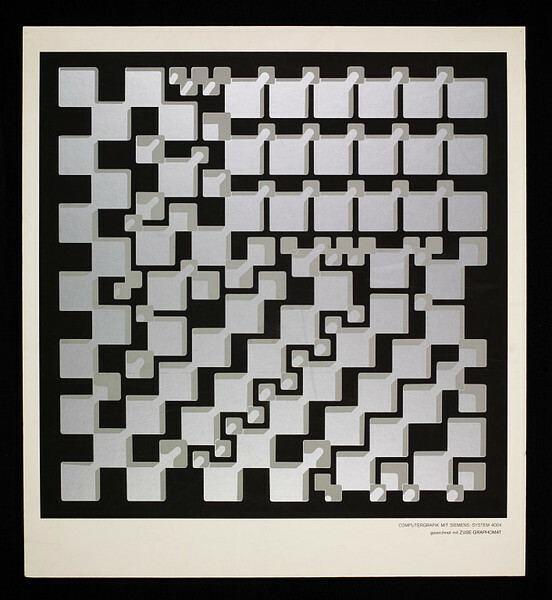 It wasn’t long after Ivan Sutherland introduced visually-oriented computing (c. 1963) that artists got involved. 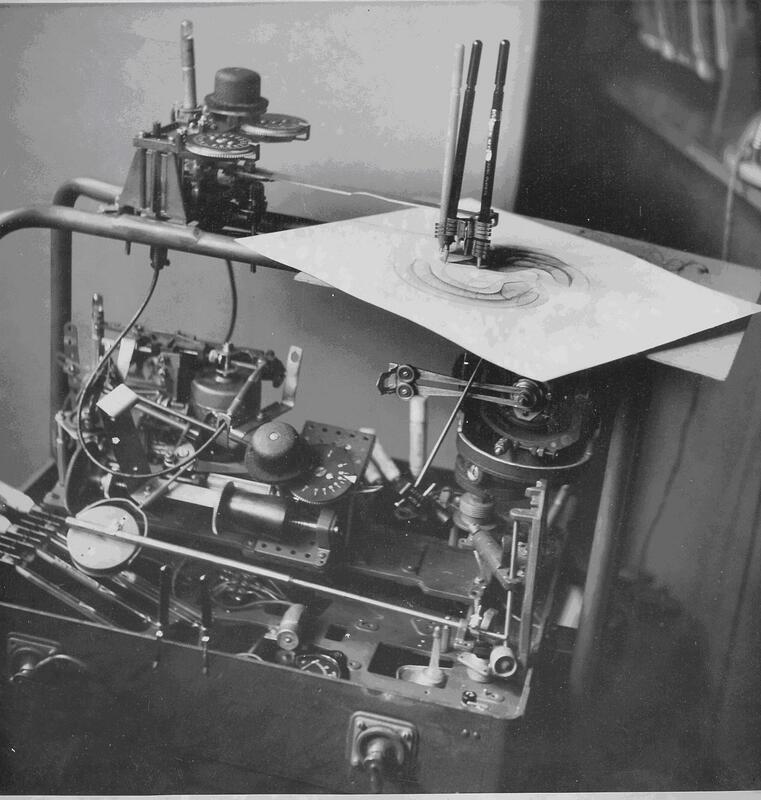 In the mid-60s, as the first image plotters became available, artists began to obtain access to mainframe computers. Usually their access was limited to late nights and weekends. 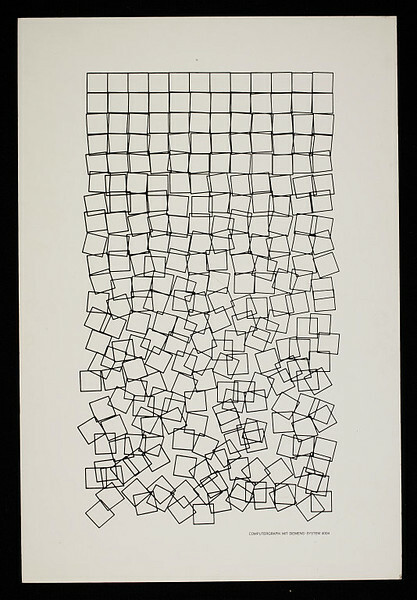 Georg Nees – Schotter 1968. Nees had to write his own graphics libraries. His works often deals with order vs disorder. 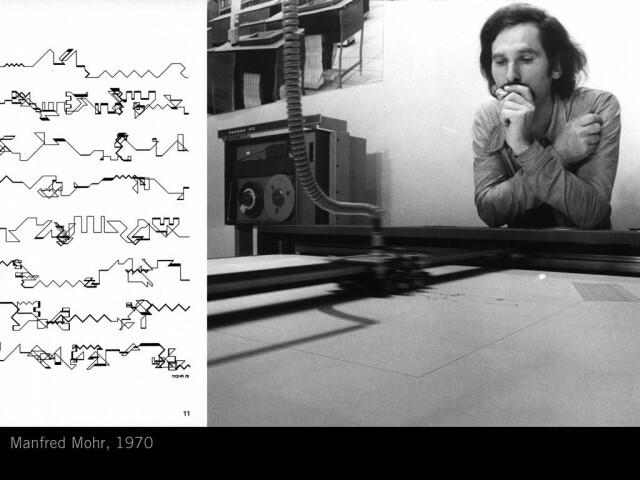 He also made the world’s first computer-generated sculpture in 1968 using a computer aided milling machine. 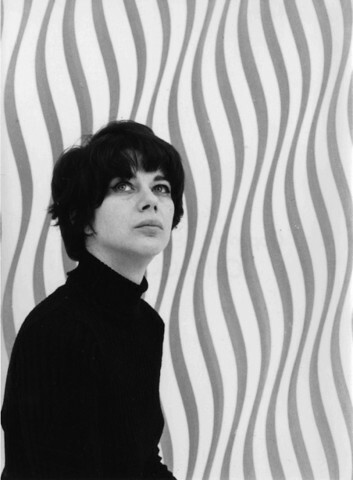 Vera Molnar Interruptions-1968-69. 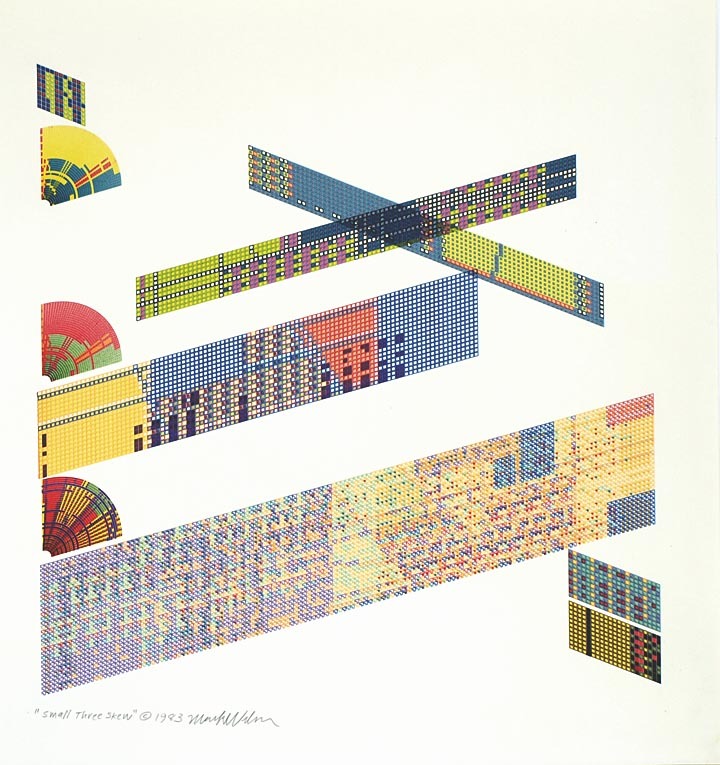 Many of these artists are still around but in the ‘90s computer art morphed into new media art, and interactivity and social engagement became the main focus for artists working with technology. 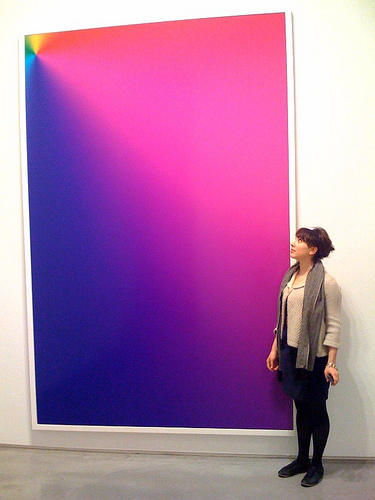 Cory Arcangel’s gradient works are a playful post-modern legacy of computer art. A quick introduction to the Processing toolkit. 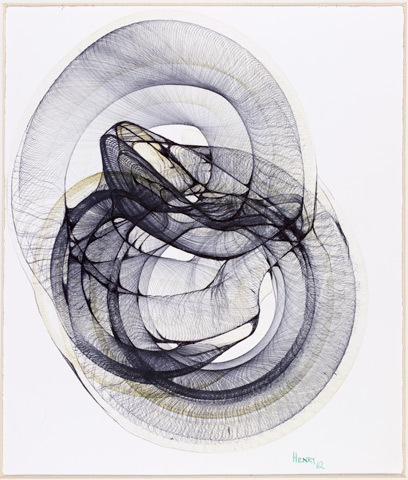 Processing is a programming environment made for artists, by artists. Here is a helpful book. An overview of the Processing environment. 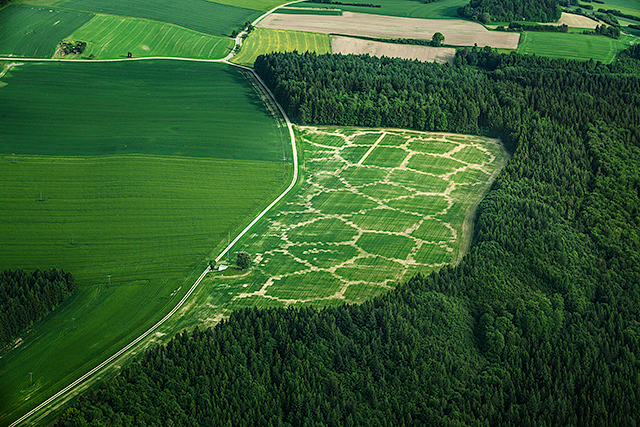 An overview of the environment. A lightning-fast introduction to Processing code. 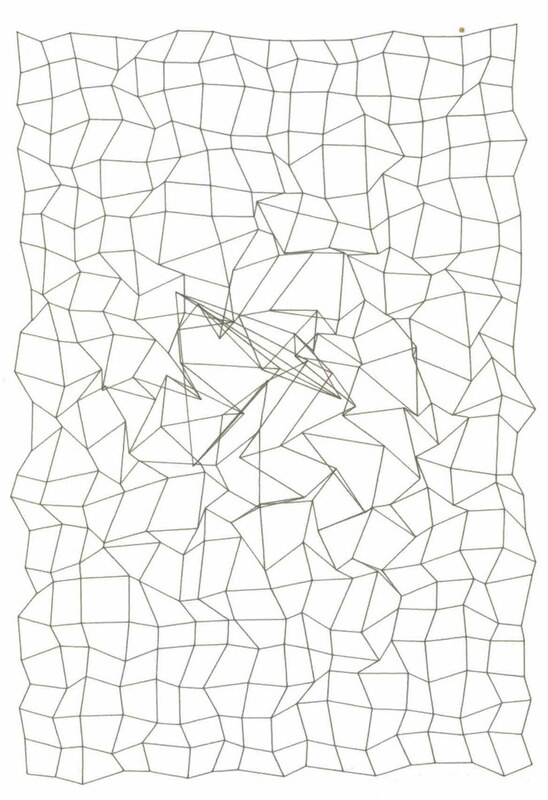 overall structure: setup() and draw(). 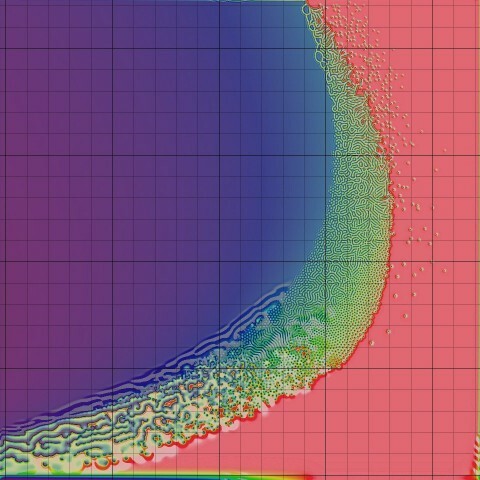 drawing primitives: line(), ellipse(), rect(). 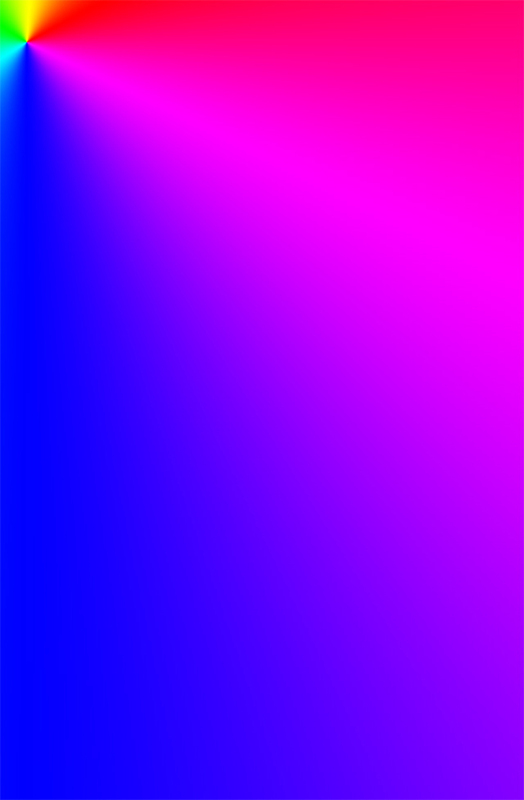 graphics state: strokeWeight(), stroke(), fill(), smooth(). 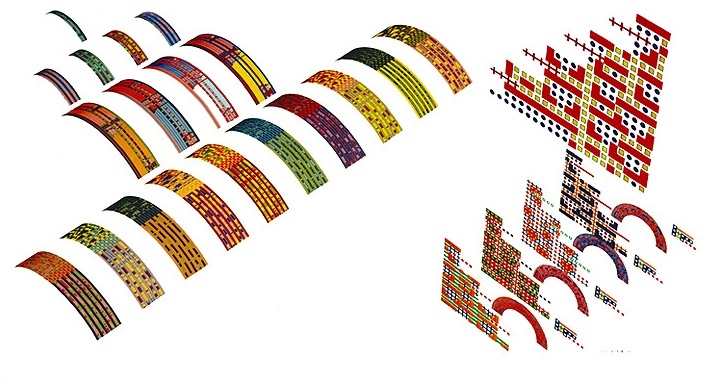 graphic transformations: translate(), scale(), pushMatrix(), etc.